Buffalo City Hall is 32 stories high. It is 398 feet from street level to the very top of the observation deck tower. 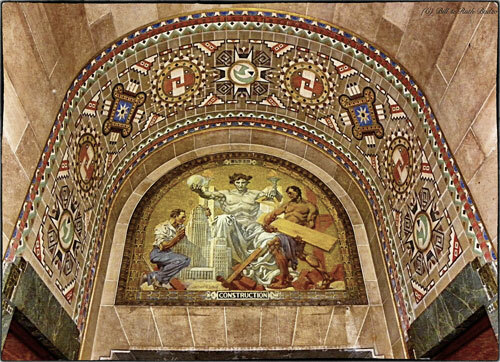 Buffalo city hall was designed in an architectural style called Art Deco. 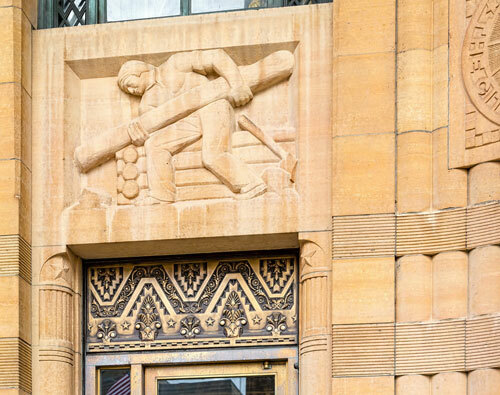 Art Deco used to be a widely utilized decorative style used in cities across the US. The time period spanned the 1920s and 1930's. 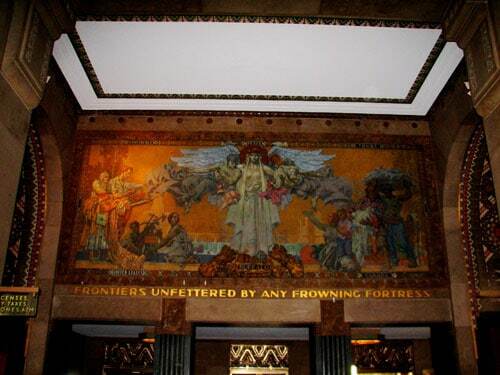 Art Deco has the unique character of being bold yet precise. It's geometry is cost prohibitive by todays' standards. Buffalo City Hall is still one of the largest and tallest municipal buildings in the United States. 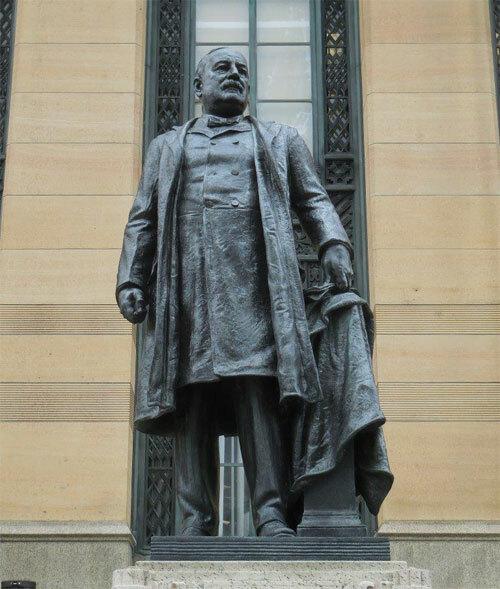 The scupltures were sculpted by Albert Stewart and Rene Paul Chambellan. 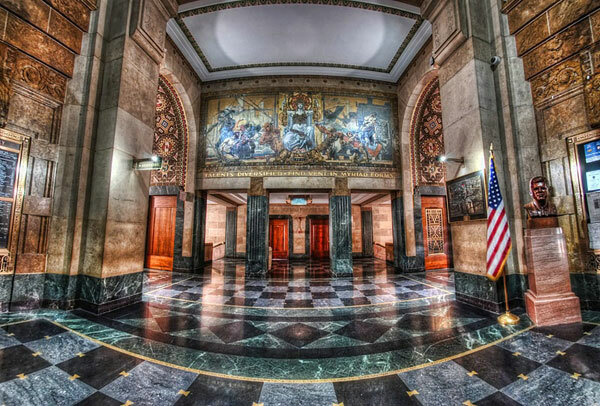 Buffalo City Hall is one of many fabulous buildings in Buffalo NY that is listed in the National Register of Historic Places (1999). 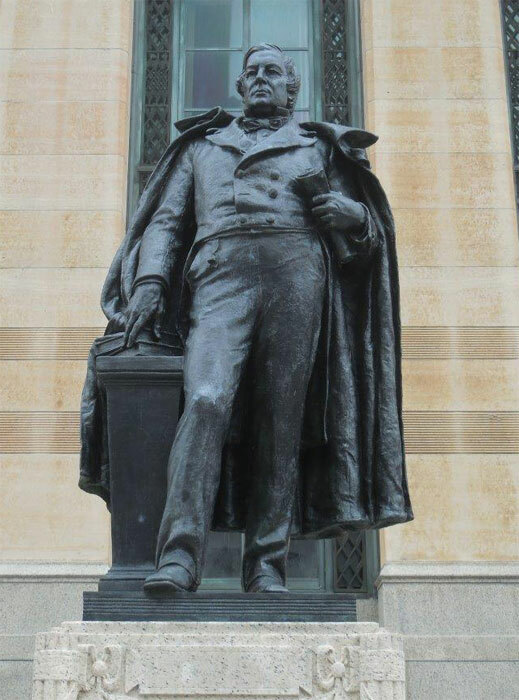 Buffalo City hall occupants moved into the newly built(1875) Erie County Court building which is still being used today and located at 92 Franklin Street. It is used for county court and tax purposes. The building was a multi-office building providing offices at that time for Mayor Lewis Dayton and shortly thereafter, Mayor Philip Becker. The offices of the city were located here from 1875 to 1920. Totaling 45 years. 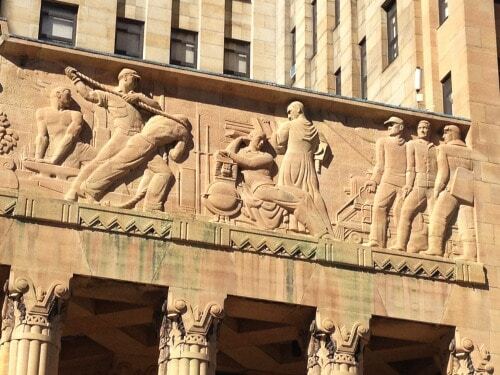 In 1920 Buffalo's common council decided to build another building for city Hall. 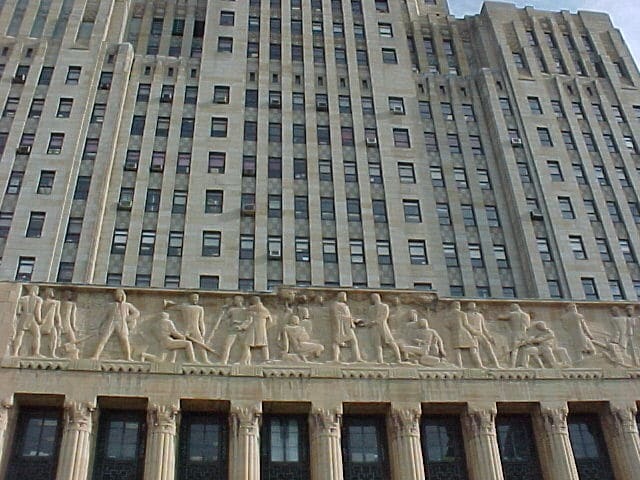 Today, Buffalo City Hall is the second highest building in downtown Buffalo. The One Seneca plaza Building stands at 529 feet. 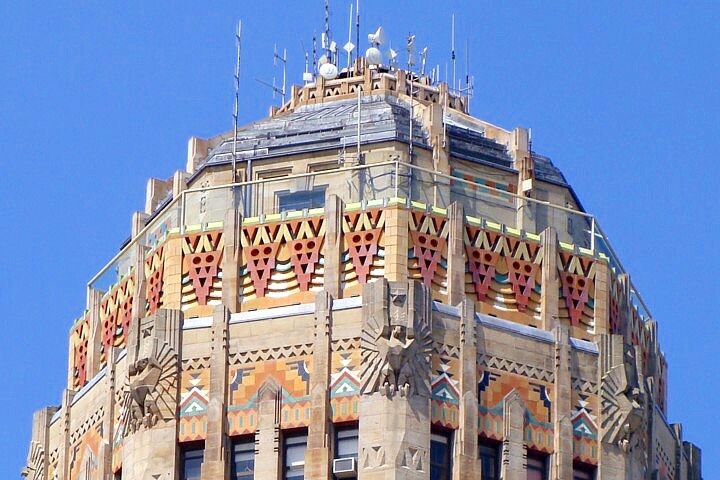 It's not widely known, But one is able to go to the top floor observatory at Buffalo City Hall. Here it is possible to see the waterways of Lake Erie and the shores of Ontario Canada. One can also see Grand Island and the city of Niagara Falls not to mention the rest of downtown Buffalo and miles beyond. It's an exhilarating experience. The observation deck is pretty awesome.